I’m delighted to unveil the cover for BEFORE THE FALL, the second novel in the Rojan Dizon series by the debut British fantasy author Francis Knight. This superb new fantasy series kicks off at the end of this February with book 1, FADE TO BLACK (UK | US |ANZ). 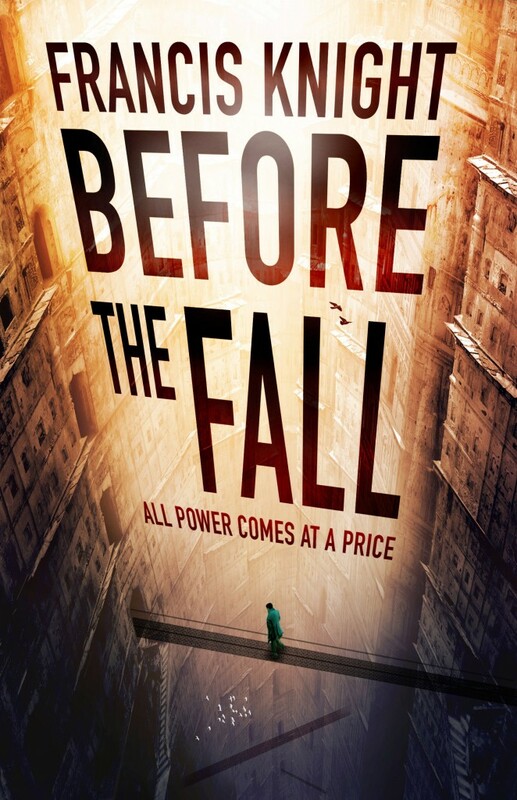 BEFORE THE FALL will follow in June 2013, and the final book in the trilogy, LAST TO RISE, will be out in November 2013. I’m just loving the design for these books, created by the very talented illustrator Tim Byrne. The crazy, dizzying perspective on the covers really sums up just how mind-warping and unusual the city feels in the books. The series is set in the vertigo-inducing fantasy world of Mahala, where the streets are built upwards from the shadow of a steep valley. While the dregs of society lurk in the city’s shadowy depths, the sinister Ministry rules over everyone from the privileged sunlit summit. The novels feature the reluctant hero Rojan Dizon, a mage whose power relies on drawing magic from pain – both his own and other people’s. His powers are officially forbidden, but it turns out that he’ll have to use them if this city’s going to survive. And only one thing’s sure: it’s going to hurt. We’ve all been raving about this series here in Orbit, as we really think it’s one of the top fantasy debuts to look out for this year. If you enjoy fast-paced adventure fantasy, such as Scott Lynch‘s Lies of Locke Lamora, Douglas Hulick‘s Among Thieves or even Ben Aaranovitch‘s Rivers of London, then this will be up your street. Check out both covers in full below, and look out for the books later this year!